The words guerrilla and gorilla both sound the same but they have different meanings. Guerrilla refers to a member of a small independent group, which typically fights against larger forces while a gorilla is a great ape found in the forests of central Africa. Our fun illustration explains the difference! 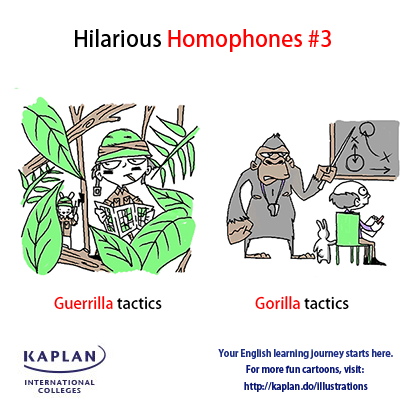 Discover more hilarious homophones examples here.